For over 25 years we have incorporated vernacular materials and methods to ensure the correct restoration of structures, and new buildings blend with the surrounding architecture and landscape. Since our founding, Cochran’s Stone Masonry has been involved in the preservation of some of America’s most treasured buildings. These include James Madison’s Montpelier, Stratford Hall, and the Tomb of the Unknown Soldier. At the same time, we have worked on countless private structures. We are proud to partner with owners, architects, and builders to meet their construction challenges and restoration needs. 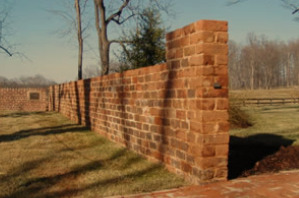 Cochran's restored brick walls at James and Dolley Madison's gravesite at Montpelier. 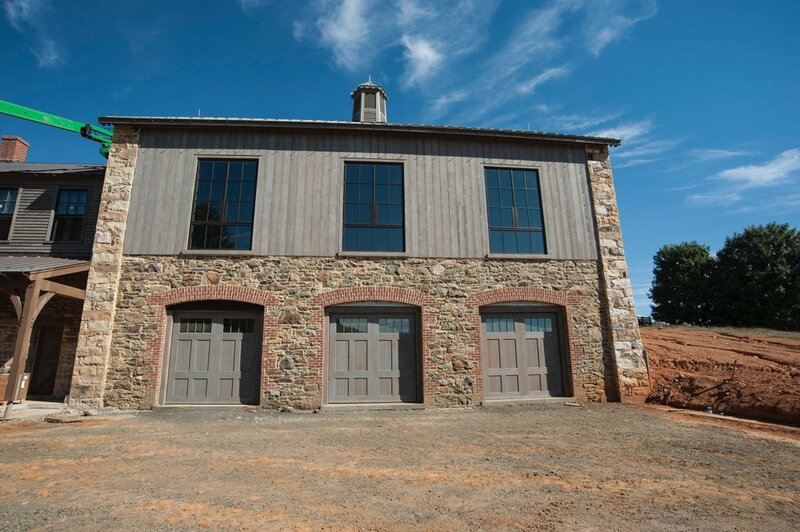 Cochran's Stone Masonry was responsible for all the masonry work on this period inspired barn at Washington, Virginia. Cochran's worked with owners Gail and Perry Epes to restore this 1740s home. Key to our success in meeting clients’ expectations is our attention to detail, especially in our use of high-calcium, aged, lime mortar and lime-clay mortar, which we produce in our own kiln. In addition, we have tons of salvaged stones, old timbers, and logs that, combined with our onsite equipment, make us capable of manufacturing any component necessary to ensure the authenticity of your restoration, preservation, or period-inspired construction project.